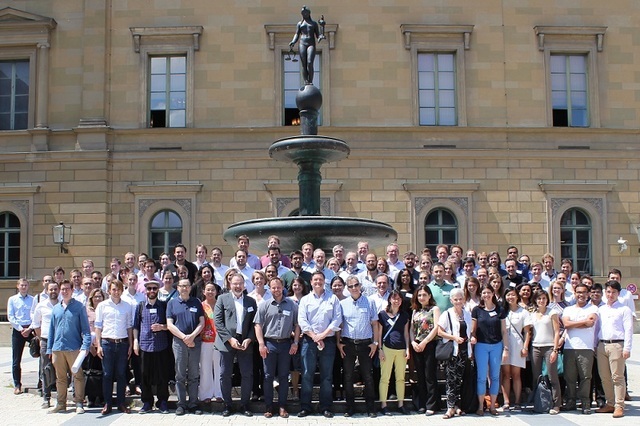 On June 4-6 at the Bavarian Academy of Sciences and Humanities, the Munich Summer Institute (MSI) 2018 entered its third year of existence, and did so together with 119 attendees united by their interest on interdisciplinary research in the broader field of innovation. Embedded in a diverse and interesting program of 18 paper presentations and discussions as well as a record of 31 poster slams in total, each conference day also entailed a key note speech addressing the research topic of the respective event day. Since its initiation back in 2016, MSI aims to facilitate networking within the research community, therefore fostering the international exchange of ideas and to inspire for new projects. Following this idea, the conference is set up as a joint project organized by the Center for Law & Economics of ETH Zurich (Stefan Bechtold), the Max-Planck-Institut for Innovation und Competition (Dietmar Harhoff), the Chair for Technology and Innovation Management of TUM (Joachim Henkel) and the Institute for Strategy, Technology and Organization of LMU (Jörg Claussen and Tobias Kretschmer). Offering different approaches on the topic of innovation research, each of the three event days is organized by one or two of the participating chairs and thus represents a certain core research field. After starting the conference with a short opening statement, day one of this years’ MSI (chairs: Jörg Claussen and Tobias Kretschmer) covered innovation-related topics on strategy, digitization and organization with one of the highlights being the keynote speech of Joel Waldfogel (“Digital Renaissance"). Co-chaired by Dietmar Harhoff and Joachim Henkel, day two of the conference focused on the subject of entrepreneurship and innovation as well as on regulatory aspects and the financing of innovation. Keynote speaker Ashish Arora presented interesting insights on “The Evolution of Corporate Research in America and Implications for Innovation and Entrepreneurship”. Last but not least, event day three (chaired by Stefan Bechtold) offered interesting insights into patent law and copyright-related research in innovation management, including an intriguing keynote speech by Luis Cabral (“Standing on the Shoulders of Dwarfs: Dominant Firms and Innovative Incentives”). On behalf of all organizing parties involved, we thank all speakers, discussants and attendants for a truly outstanding MSI conference 2018 and are very looking forward to next years’ Munich Summer Institute 2019, which will take place 17 – 19 June 2019! Please find here the program of Munich Summer Institute 2018.